From Goodreads.com: Annie Naden and her husband buy a remote country cottage at auction. It’s the home of their own that they always wanted, but as they begin renovations, Annie discovers a satchel in a dusty old hidden cupboard. Inside are the usual schoolbooks, now over 40 years old, and a girl’s diary. Among the record of day-to-day crushes and pop concerts, is a secret whose terrible consequences are still resonating to this day. Detective Tom Calladine has problems of his own. A notorious villain, Vinny Costello, seems to be back in town, and the bodies soon stack up. 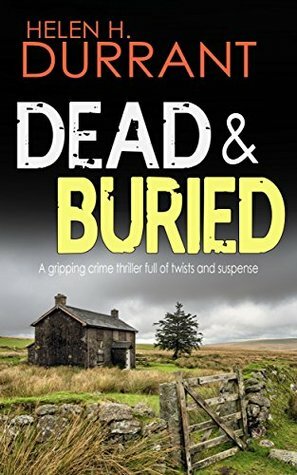 With Calladine’s loyal DS Ruth Bayliss on maternity leave, he gets in hot water with one of Costello’s assistants, and must also cope with an abrasive new member of the team as they seek to untangle a complex series of murders. What happened to that girl forty years ago? And what’s it got to do with the current crime wave? Let me begin by saying that technically this is book number 5 in a series featuring D.S. Ruth Bayliss and D.I. Tom Calladine. Even with that I didn't feel like I was missing any vital information. I was able to follow this story completely. Even though there were some things mentioned from previous books, it was nothing that kept me from enjoying this one. I will say that you do have to pay attention to this story when you read it as there is a fair amount of bouncing around between the different characters, however as the story comes together it is obvious why the author choose to write it the way that she did. There are several different story arcs within this one story, however they are all so intricately woven together that by the end it all makes perfect sense. As with other books I have read by this author, new clues pop up all the time and these stories are perfectly put together so that the twists rarely stop coming and the ending is (almost) always a surprise. Overall, I did enjoy this story (as I have others in her newest series that focuses on DI Greco), and I would recommend it to those who enjoy a well written investigative mystery. I also plan on reading the first four novels in this series at some point as well just to get more acquainted with these characters.